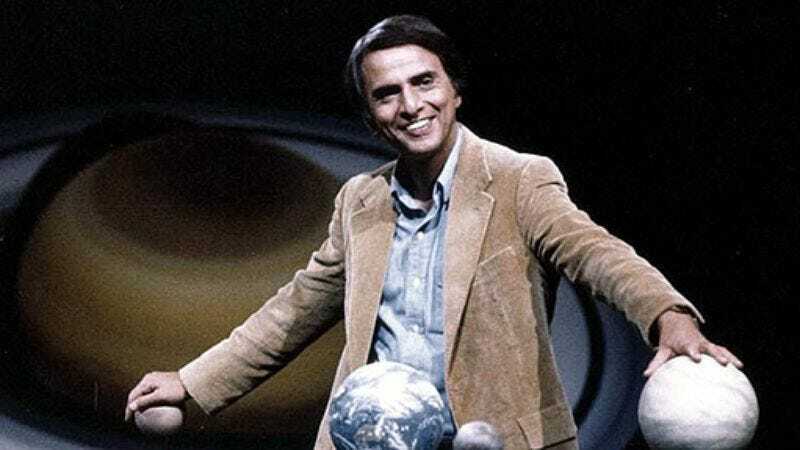 Warner Bros. has announced that it’s developing a biopic based on the life of astrophysicist Carl Sagan, sending physics fans into leaps of joy, and tired writers into the depths of their minds, searching for a good joke headline incorporating the phrase “billions and billions,” jokingly ascribed to Sagan by Tonight Show host Johnny Carson in a famous sketch. The noted scientist and public speaker, a mainstay of Carson’s Tonight Show, and one of the 20th century’s most prominent voices for the power of scientific reasoning, never shied away from deploying astronomically large numbers in his efforts to convey the sheer size of the universe to audiences. Meanwhile, the film is being written by Zach Dean, author of the 2012 crime thriller Deadfall, who, despite penning a movie starring both Eric Bana and Olivia Wilde, probably doesn’t have enough Hollywood clout to assemble the cast of “billions and billions of stars” that would really make this headline zing. In fact, it’s becoming increasingly clear that, beyond the universe itself, very few things on Earth can hold up to the sheer size that “billions and billions” implies, a realization that would probably have provided some small satisfaction to Sagan, who died in 1996 after a speaking and writing career that included multiple books, hundreds of scientific papers, the plaques on the Voyager and Pioneer space probes, and probably very little in the way of pun-minded headlines.